I’m looking at my to-do list: I should paint, try new techniques so I have things to write blog posts about and take pictures of. But I should also cook, clean my apartment, and I haven’t met my best friend in ages. Plus my cat can’t wait for me to play with him a bit. This is more or less what my inner monologues sound like when I procrastinate. 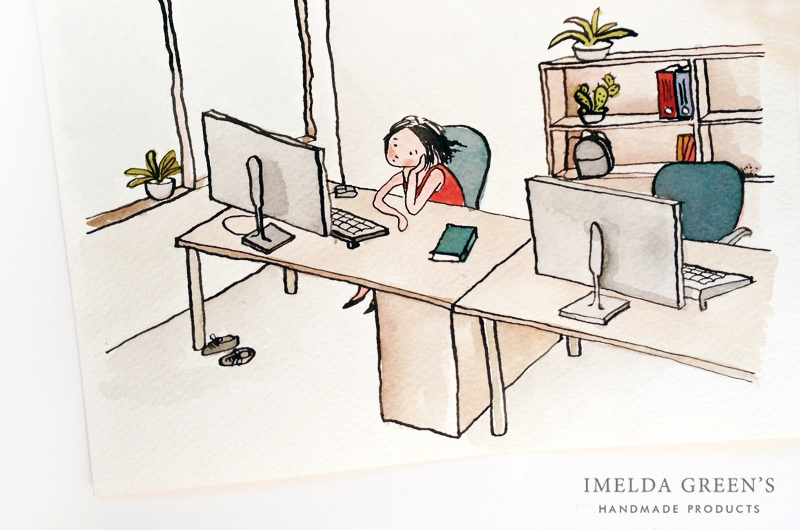 There’s an endless number of excuses why I can’t sit down to my desk and draw the first line, but of course it’s not these – indeed important but not crucial – tasks that stop me from painting. What stops me is fear. 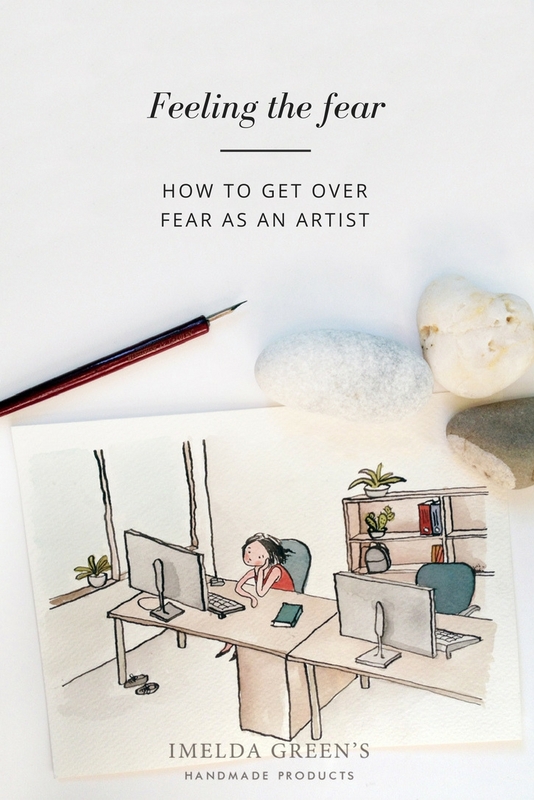 Everyone, who is in the creative field, feels the fear. Listening to experienced artists I noticed that everyone feels this way: whether it be amateur or professional, illustrator, dancer or musician. Every creator is scared that what they produce is not good enough. That their work is pointless. Actually, the more original the work, the more afraid they are, since noboy has tested if this is a working path or not. According to Kendyll Hillegas, those who are seemingly not scared either repress this feeling or have learned how to deal with it. So no fear means no creativity. What’s more fear is good because it encourages you to produce better quality work. According to another interesting thought, fear is relative. If there were no fear we could not define bravery. This is all very well, but how to cope with fear? What happens when you become so scared that it stops you from going on in the long run? How I deal with my fear? I can be a tough girl. I can say ‘f*ck fear‘. But what happens then? In my experience, if I do this, then my fear pops up all the same, except I have no control over when it hits me – usually during the least convenient times. When I am exhausted or sad, dread will usually pay a visit to drop another mound of earth on my soul, which is already sitting in a dark hole. Hooray. No thanks. Another approach is – to voice a real cliché – to ‘feel the fear and do it anyway‘. So let’s take action. With or despite the fear. This line of thought is closer to my heart, although it gives no golden rule as to what to do exactly. So experimenting remains. I try to be conscious of the fact that my fear is not an indication that I’m doing something wrong. It is simply part of the creative life. As a last resort I turn to some of my fav youtubers, who will convince me that it’s okay if it doesn’t work at the moment. The only real problem is, if eventually fear takes over completely. How do you cope with your negative self-talk?